This product has been manufactured in Nature`s Answer`s FDA registered, cGMP certified and pharmaceutically licensed facility. Other Ingredients: Purified Water, Vegetable Glycerin, Citric Acid, Potassium Sorbate (0.2 %) Natural Raspberry Flavour, Quick-Sorb (Ginger Rhizome, Amla Fruit, Capsicum Fruit). As a dietary supplement take one Tablespoon - 15 ml daily with morning and evening meals or before high-intensity workouts. 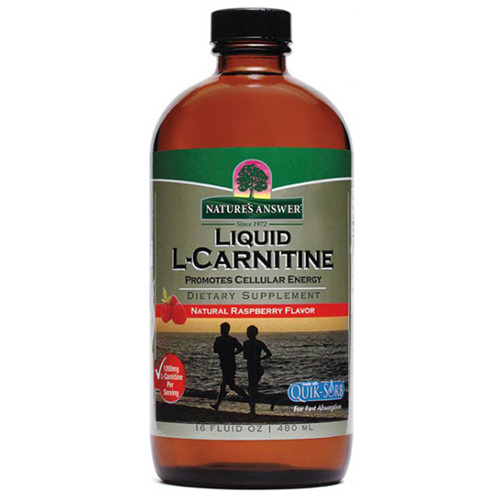 Below are reviews of Nature`s Answer Liquid L-Carnitine - 480ml by bodykind customers. If you have tried this product we'd love to hear what you think so please leave a review.